This year, for Ayaz’s birthday I made a Chocolate cake with chocolate frosting. 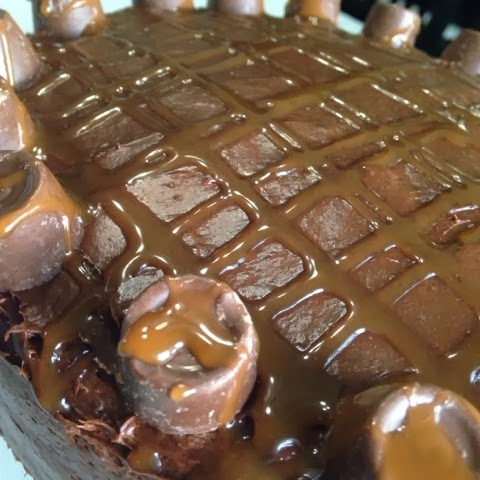 I then decorated the top with rolo candies and drizzled caramel on top. Last year? I made the M&M and Kit-Kats cake.